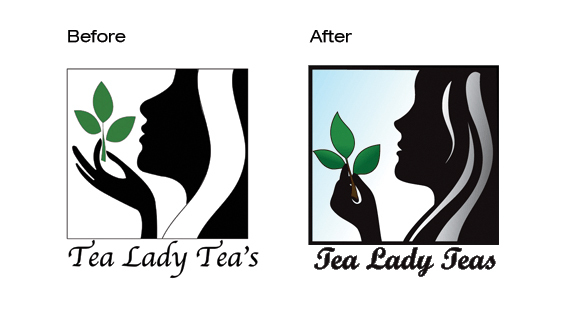 Our good friends at MORE hired us to help redesign the Tea Lady’s logo. We pulled it into illustrator to fix the misshapen attributes of the old logo and make it more visually interesting. We created both a black and white version and the color version pictured here.